Casseroles are a beautiful thing. I’ve made countless ones on my blog, so you know I am not joking about how much I love them. 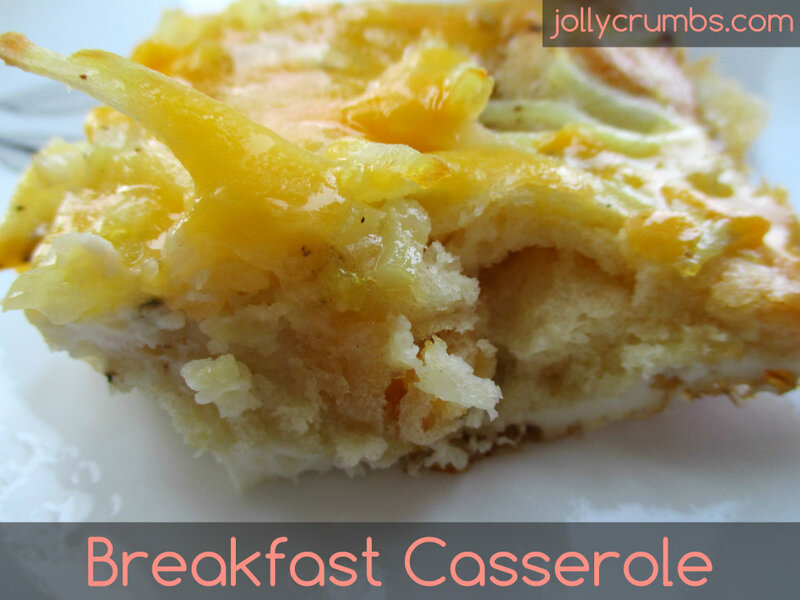 Breakfast casseroles also make me happy. This one in particular is delicious. You can easily make this for lunch or dinner. Or if you actually plan to eat this breakfast casserole for breakfast, you can throw it together quickly and bake it in the morning. The leftovers from this are just as delicious as straight from the oven. You can also add in any other toppings you want to this. If you love bacon or sausage, you could easily add those to this casserole (just pre-cook all meats before adding). You could add mushrooms, tomatoes, peppers, onions, or whatever float your boat. This is another recipe that you can customize for your family’s preferences. This recipe is too easy, and it is low cost. I love this casserole. First, press the crescent roll dough into a greased casserole dish. Press the seals of the rolls together to make a crust-like bottom to the pan. Then spread the shredded hash browns over top of the rolls. You can use either fresh or frozen hash browns in this. Beat eggs in a bowl, salt and pepper to taste, and spread over the hash browns. 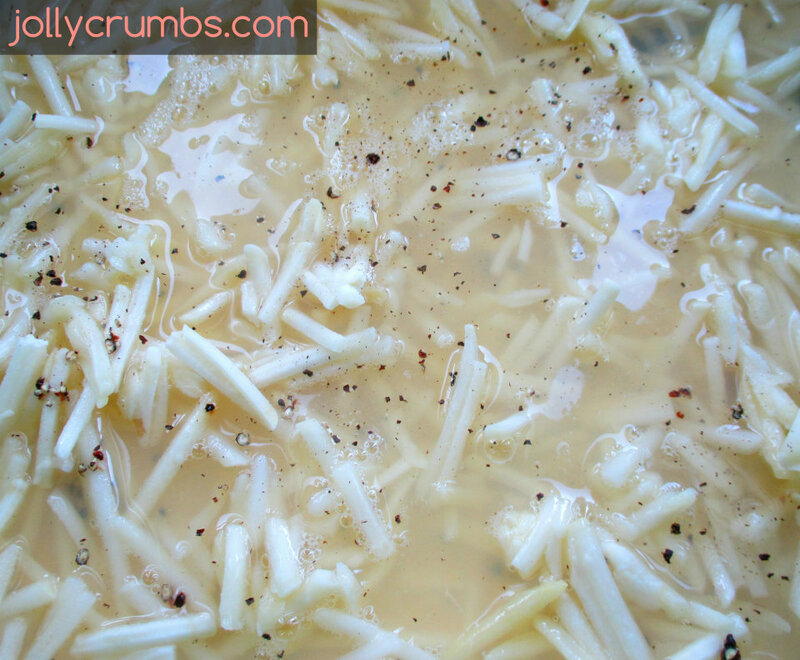 If you are using liquid eggs as I did, mix liquid egg whites with salt and pepper and pour over hash browns. Bake in oven at 350°F for 40 to 45 minutes. The eggs should be set and the crust should be baked all the way through. 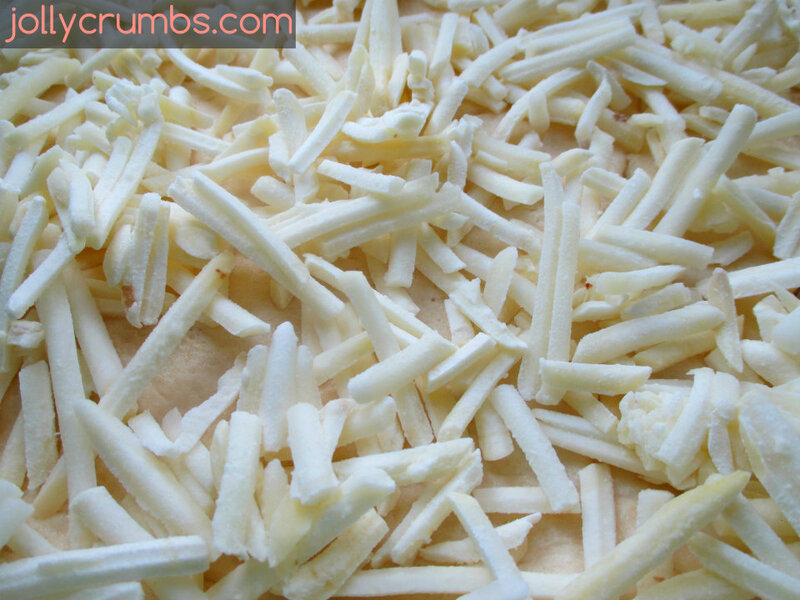 Remove casserole from oven and sprinkle cheese on top. Place back in oven just until cheese melts. Serve hot! This casserole is easy to throw together in the morning for breakfast, lunch, or dinner. The prep is minimal to this dish, and it is still ready to eat in under an hour. I love this dish. The crescent rolls bake up into a nice soft, buttery crust, and the hash browns and eggs bake together in a delicious layer of crispy, egg goodness. Also, the cheese is a wonderful touch on top. It becomes golden and bubbly right before your serve it. Of course you can add in bacon if you want, or other optional mix ins such as vegetables. This is another great dish you can customize to your own family’s tastes and preferences. Optional other toppings: veggies, meats, cheeses, mushrooms, etc. Press the crescent roll dough into a greased casserole dish. Press seals together to make a crust-like bottom on the pan. Beat eggs in a bowl, salt and pepper to taste, and spread over the hash browns (or mix liquid egg whites with salt and pepper and pour over hashbrowns). Bake in oven at 350°F for 40 to 45 minutes. 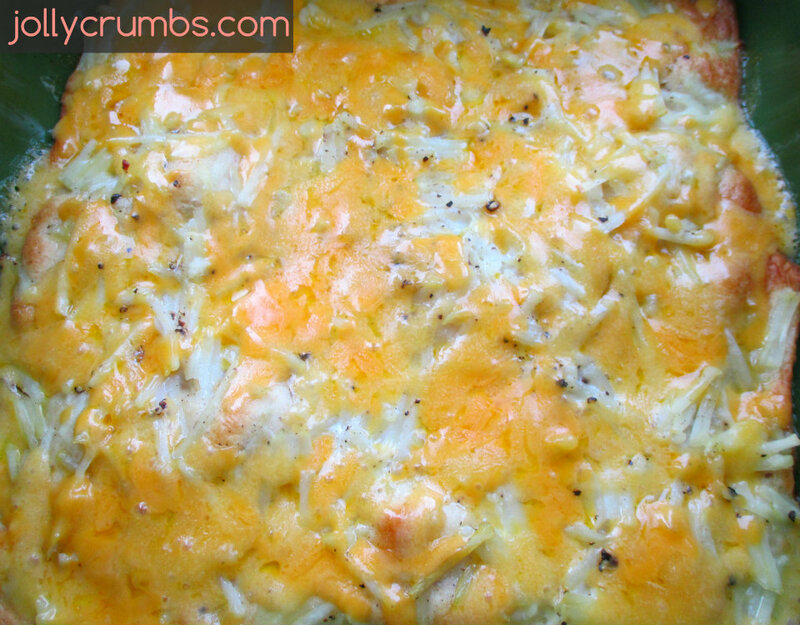 Remove casserole from oven and sprinkle cheese on top. Place back in oven just until cheese melts. Add in six slices of cooked, crumbled bacon to the casserole. Sprinkle these over the eggs when you are making the casserole. Add in any optional toppings you want to the eggs or on top of the eggs. Easily half this recipe to make it in a 9×9 or 8×8 pan. Leftover crescent rolls can be used throughout the week as long as you keep them in a sealed baggie or container in the refrigerator!